Unlike the author's other books, this is not a cruising guide but rather a collection of boating experiences and learning curves. This book is more focused on a touch of humour and a number of serious boating situations to be avoided. 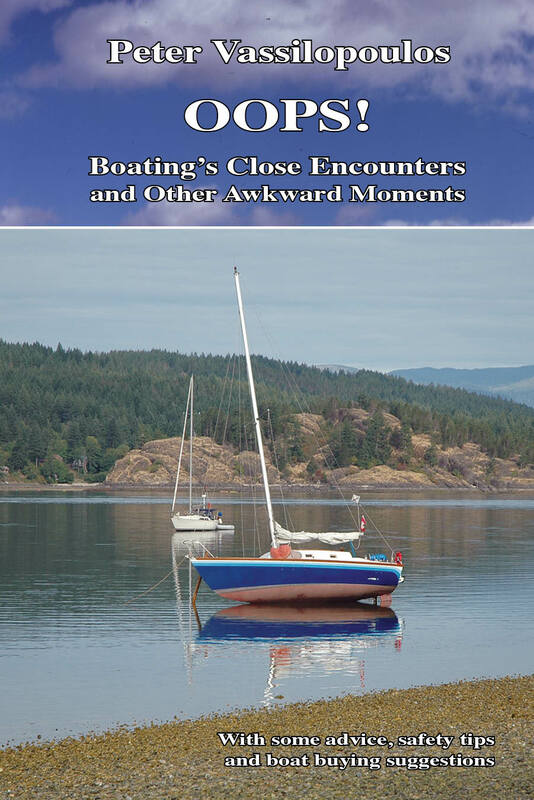 The book describes situations while out boating that the author has observed. Many that he encountered and had to deal with, especially in his earlier years of boating on the west coast. It deals with some awkward situations, anchoring and making decisions to avoid dangerous and troublesome passages, foggy conditions, shallow waterways, anchoring and falling overboard. There are some experiences recounted that mariners don't expect, and come as a surprise when they happen. The book is illustrated with many black and white photos and several diagrams showing some of the situations described. It concludes with advice on buying a boat, and input from naval architect John Simpson, on boating safety and regulations. It is an ideal pocketbook-sized stocking stuffer, 144 pages and has a retail price of $19.95. OOPS! is available from marine stores as well as book stores, and has been published in time for Christmas and the 2018 boat show season.